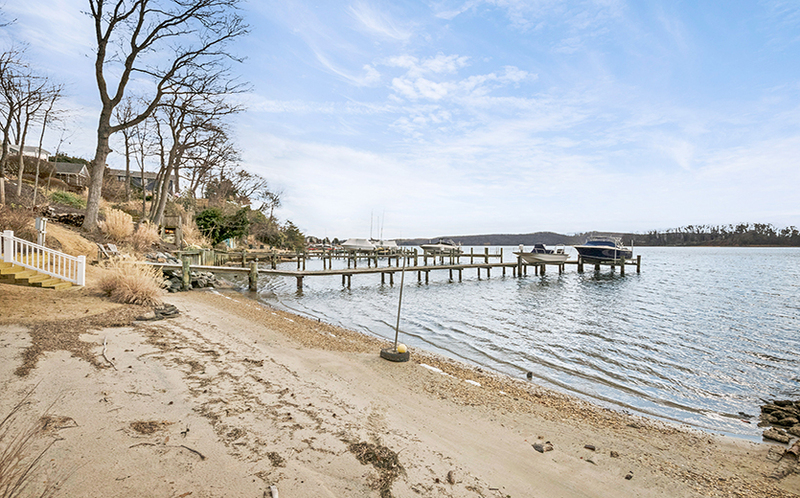 Note: This is a contingent contract so it’s definitely worth coming to see this very special home with sweeping views! 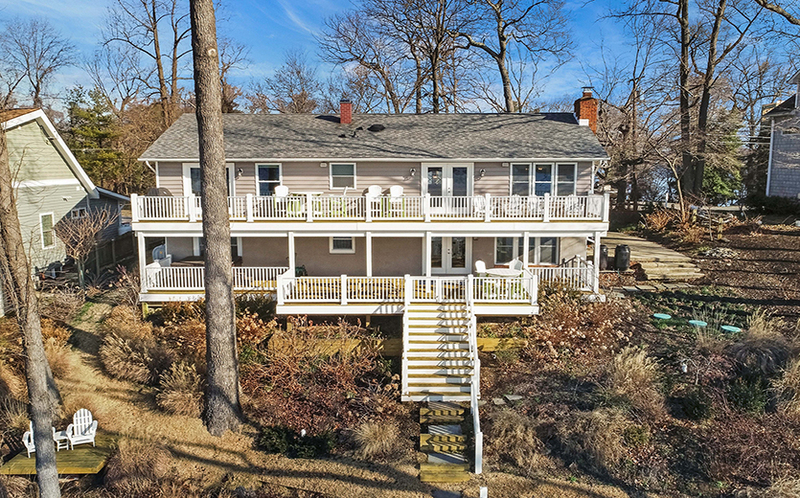 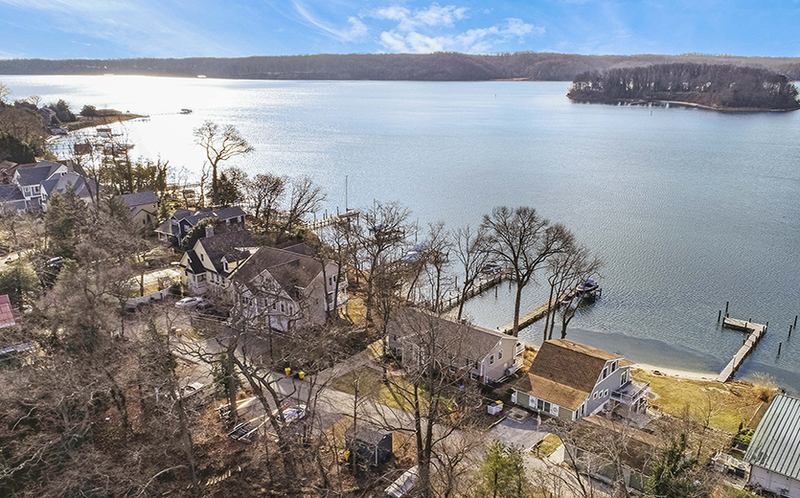 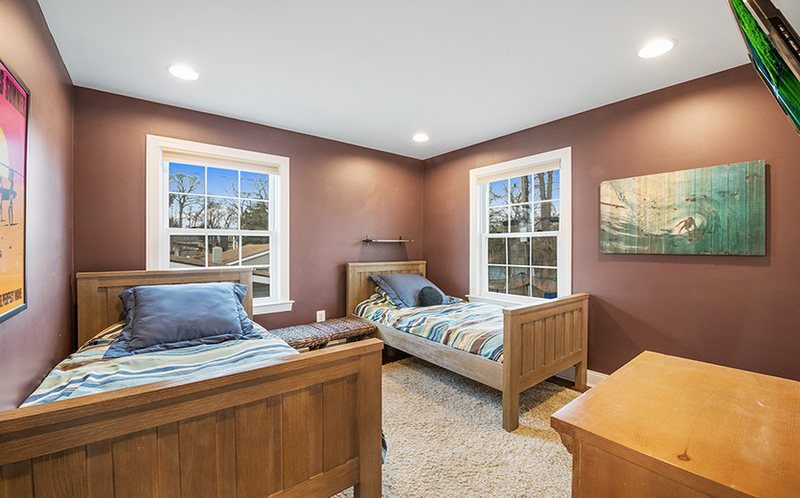 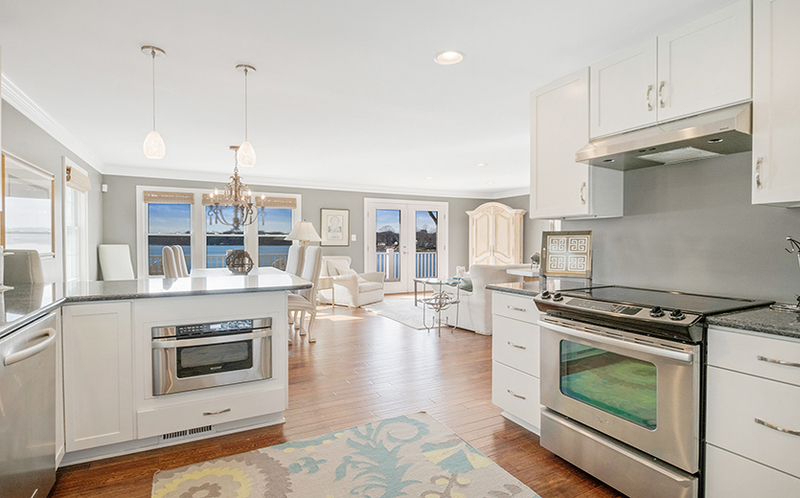 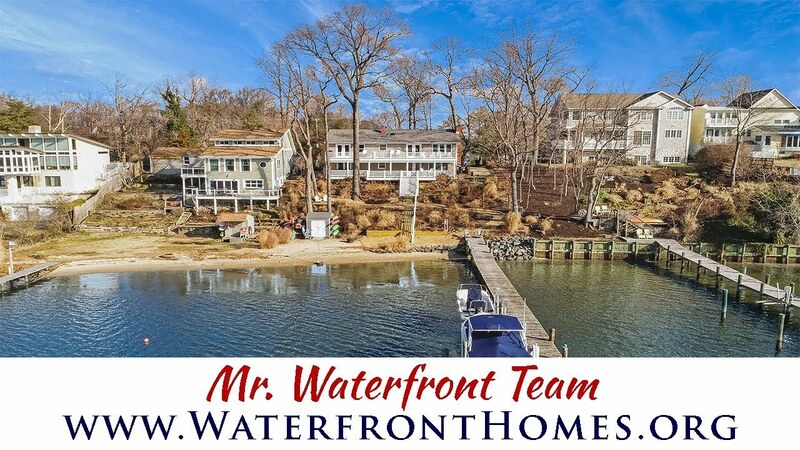 265 Long Point Road, located on the Severn River, is a beautifully updated five bedroom home with exceptional water views. 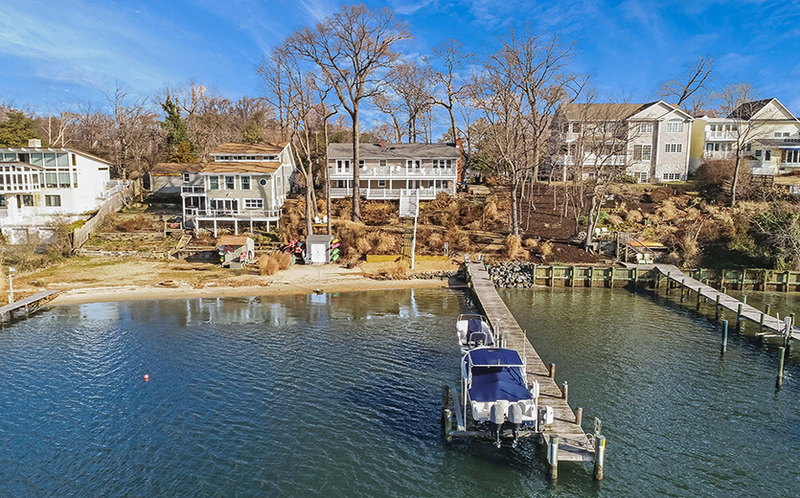 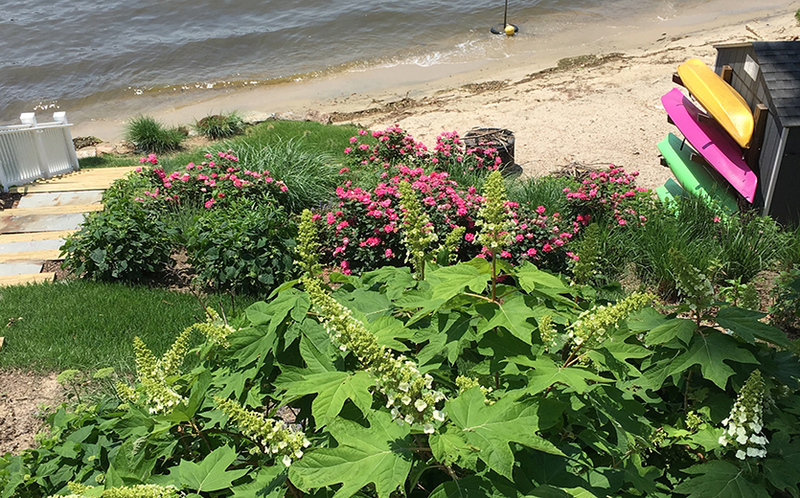 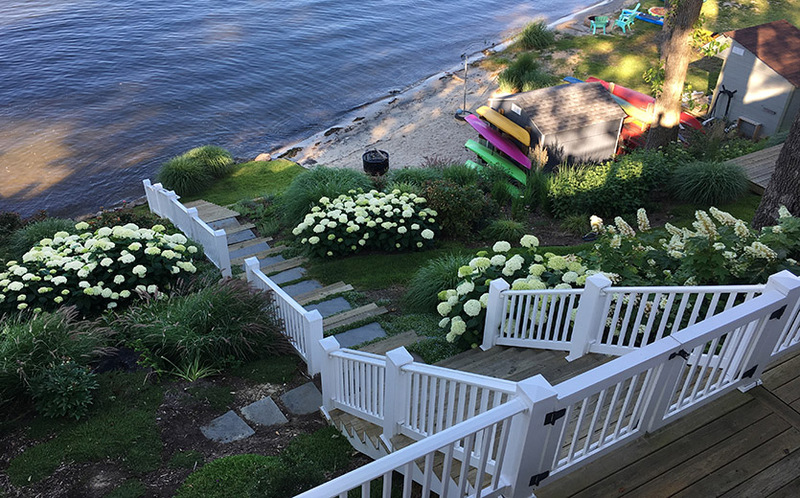 Situated on half an acre in the Long Point on the Severn community, this waterfront oasis is complete with a private deep-water pier with two boat lifts (12,500 lbs and 2,800 lbs). 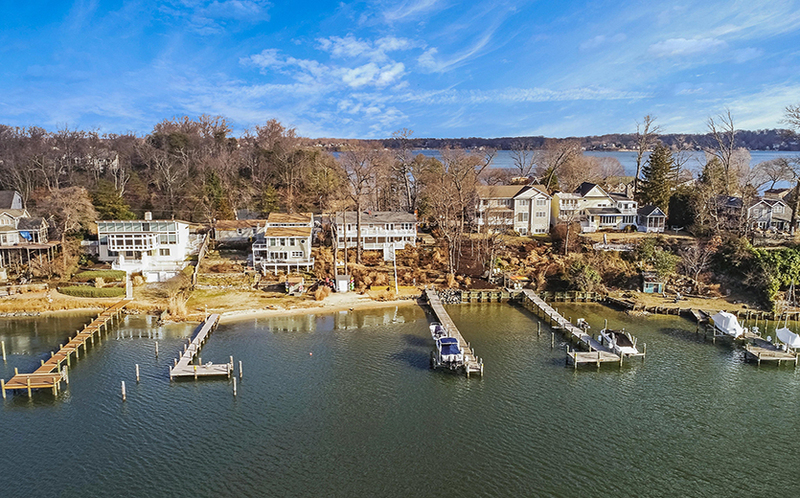 There is also a sandy beach and a shed located at the water’s edge for all your boat toys, two decks for entertaining and enjoying the views, hot tub with a view, and a level non-waterside yard. 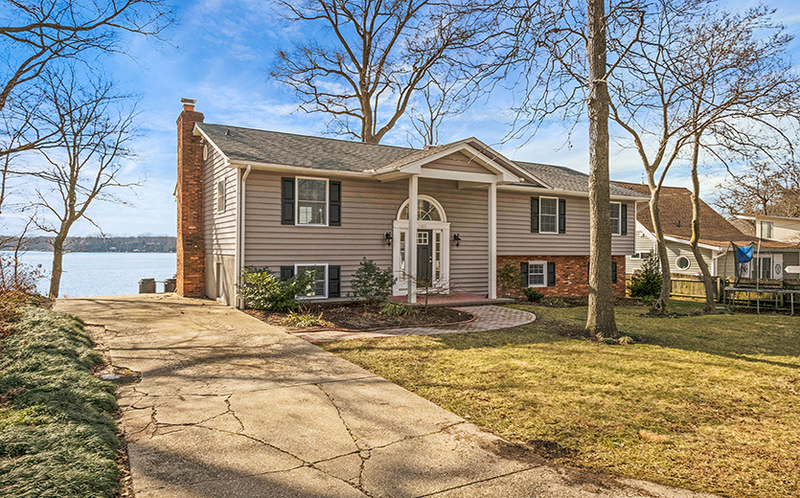 This location offers good commute options to Baltimore, Annapolis, and Washington DC. 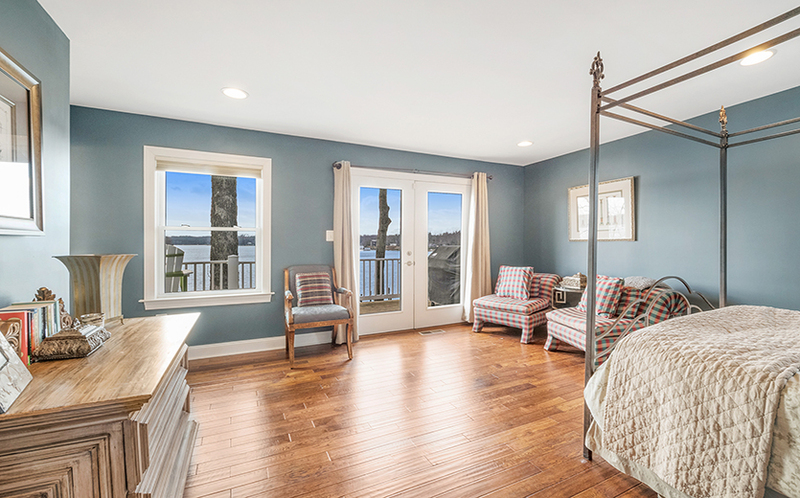 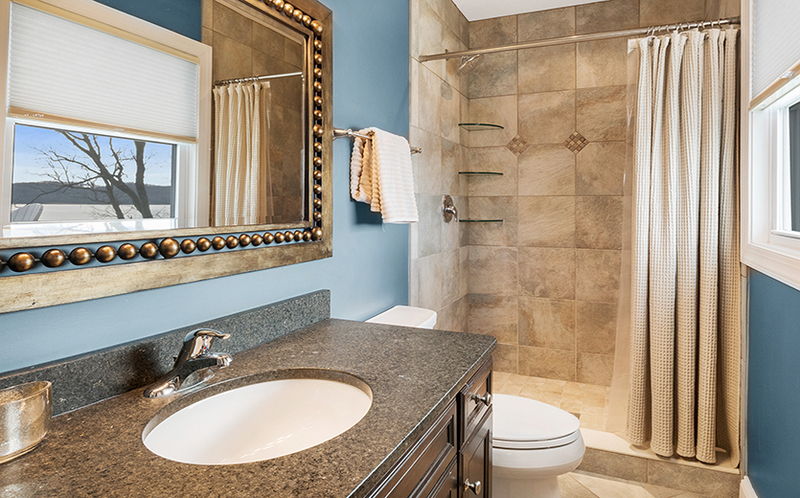 As you step into the home and go up a few steps, you are greeted by the stunning water views. 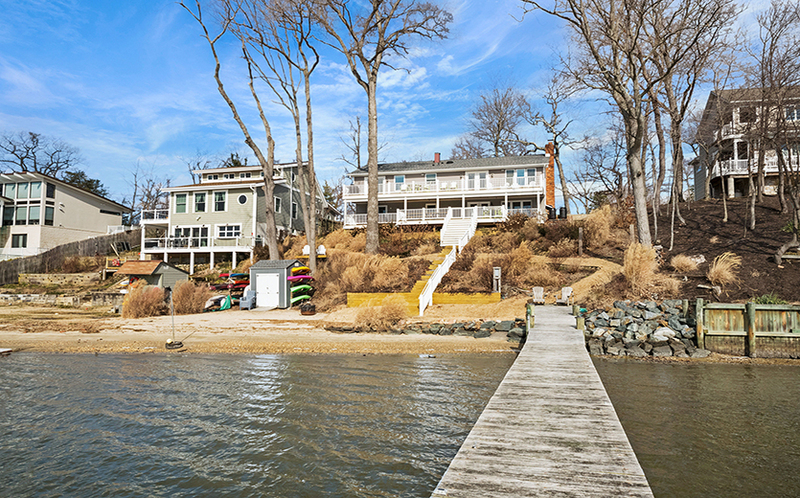 The main water view (and the pier location) is across Little Round Bay; in the other direction, you look across Fox Creek! 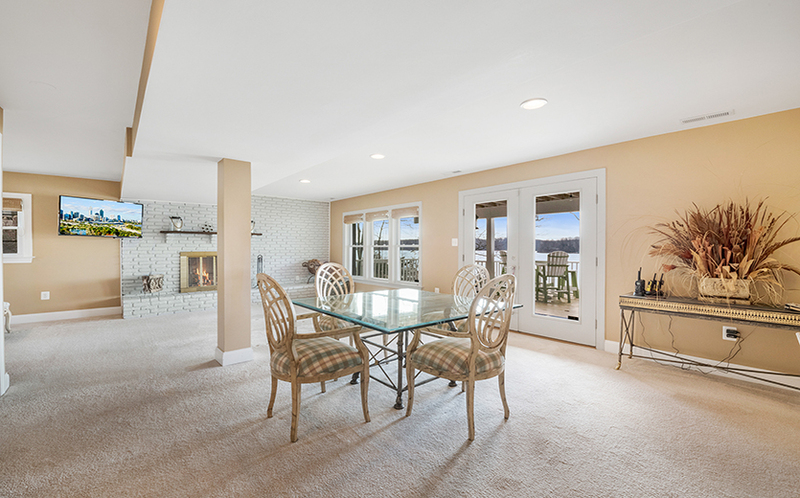 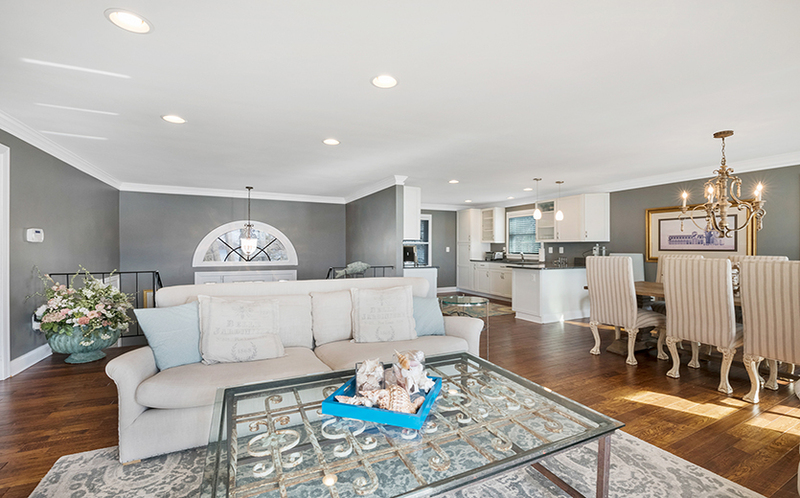 The bright open floor plan seamlessly flows between the kitchen, dining room, and living room. 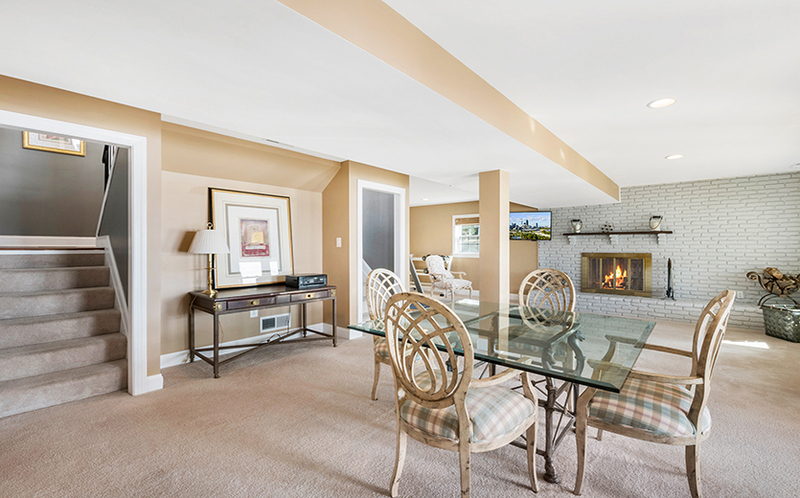 The layout truly allows you to enjoy the views from all of these spaces. 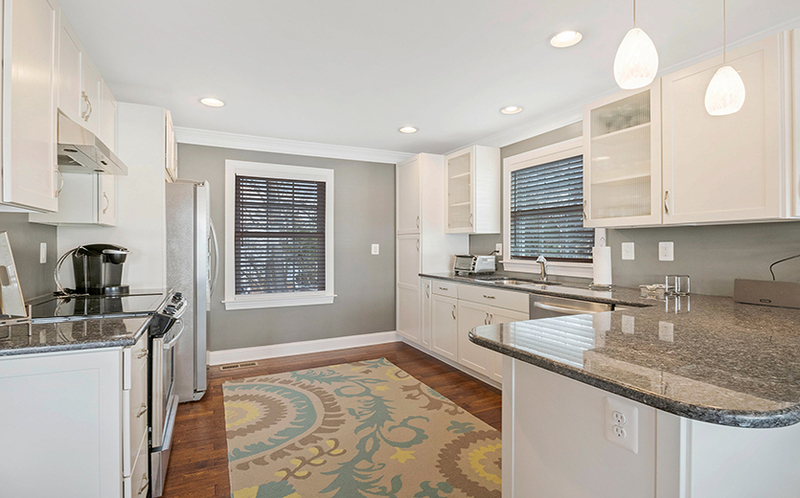 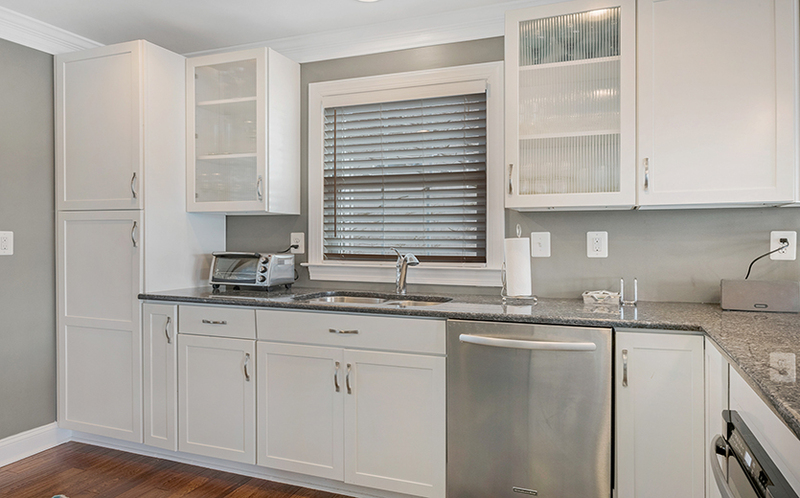 The kitchen has granite counters, white cabinetry, updated lighting, wood floors, and stainless-steel appliances. 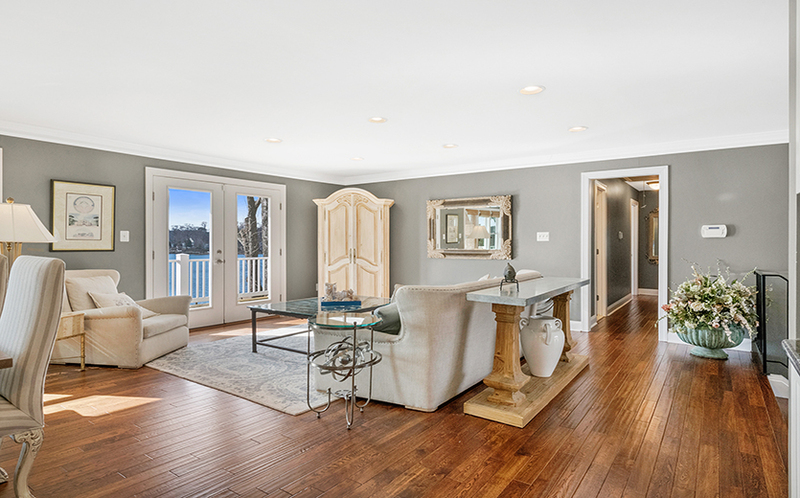 The great room has wood floors and there are French doors that lead to the upper level waterside deck. 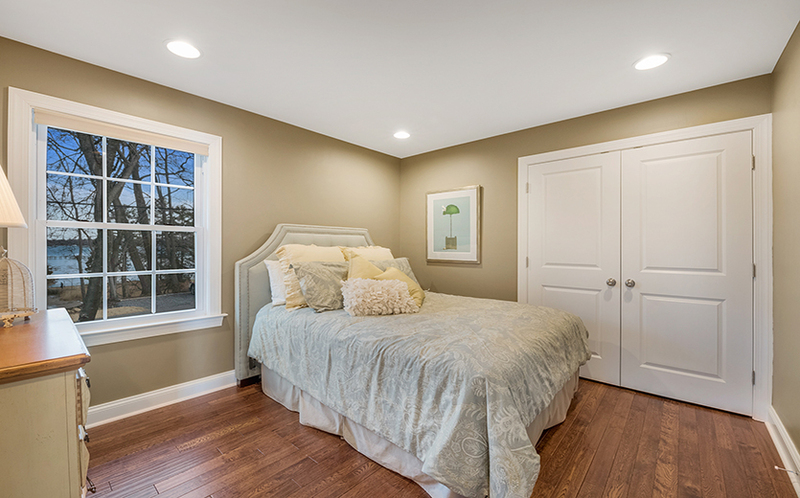 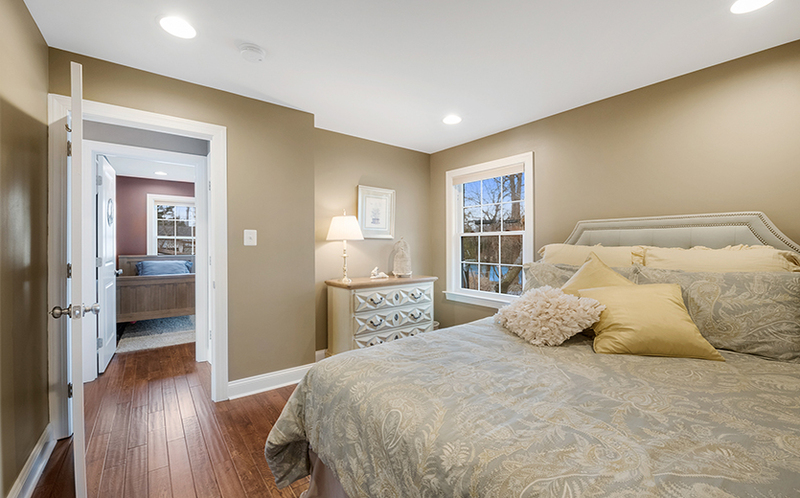 There are three bedrooms on this level, including the master suite. 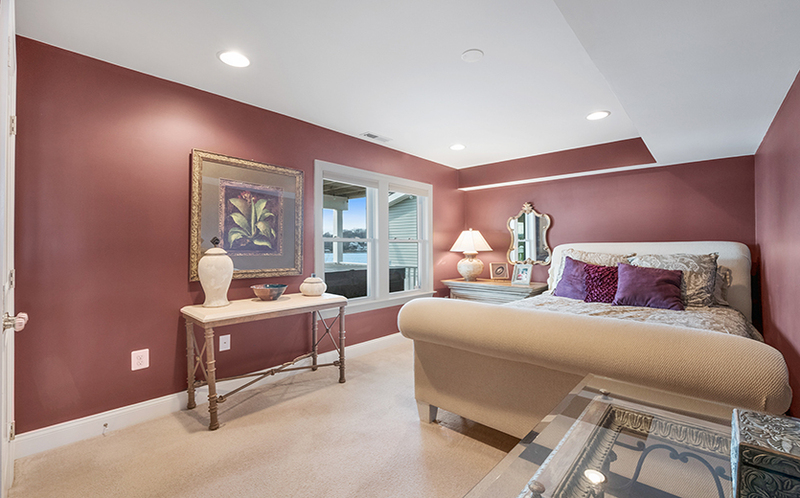 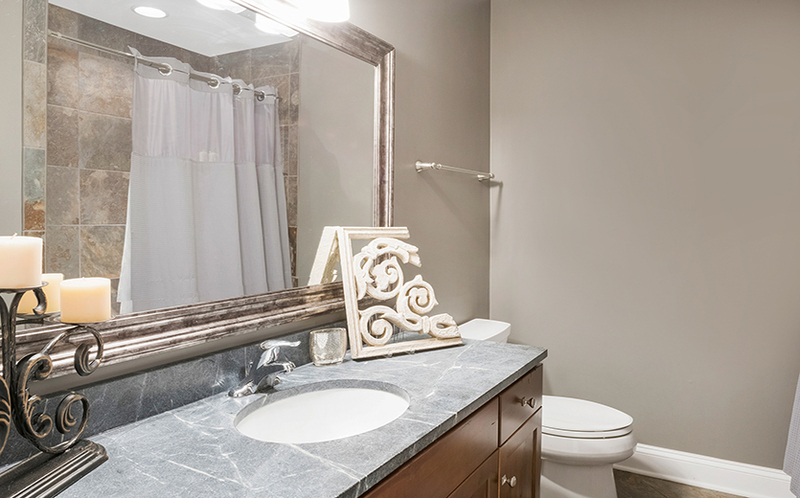 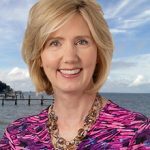 The master bedroom suite, with spectacular water views, has an updated full bathroom with ceramic tile, granite counter and tile shower, as well as a walk-in closet. 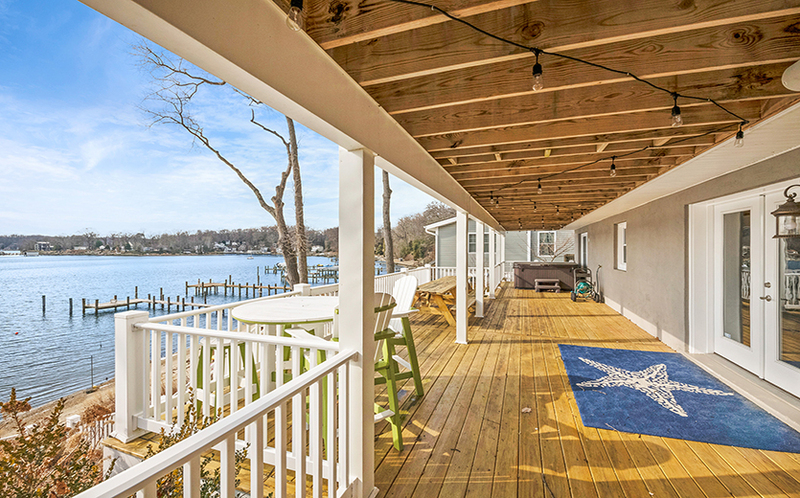 French doors open to the upper level waterside deck. 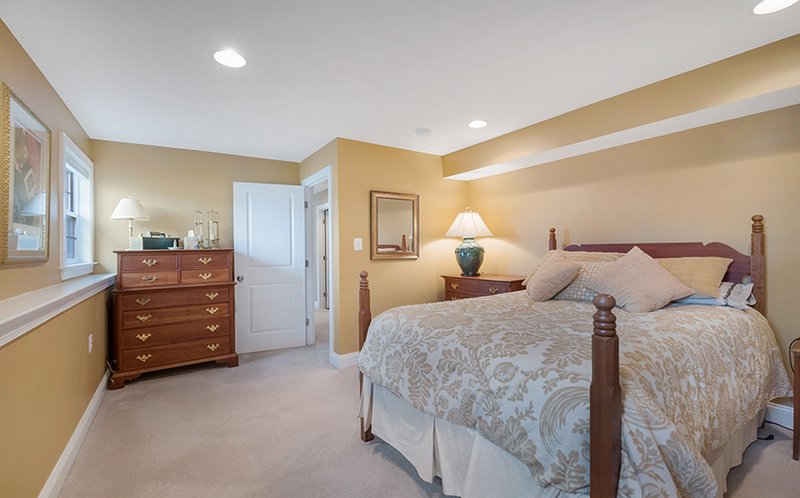 The other two bedrooms on this level share a hall bath. 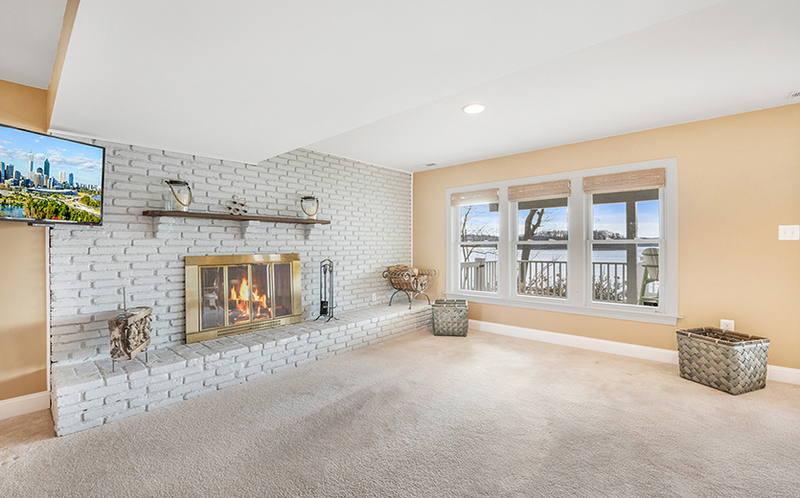 The walk-out lower level adds additional living space with a generously sized family room with brick-surround, wood-burning fireplace. 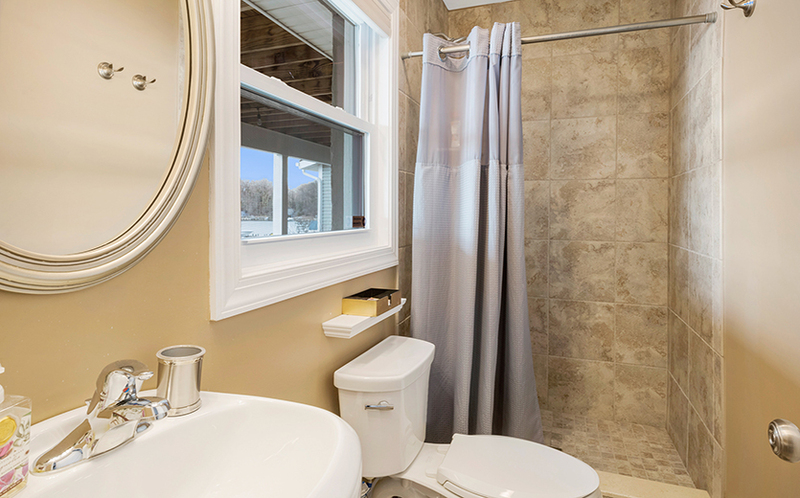 There are also two bedrooms, a full bathroom, and a separate laundry/utility room. 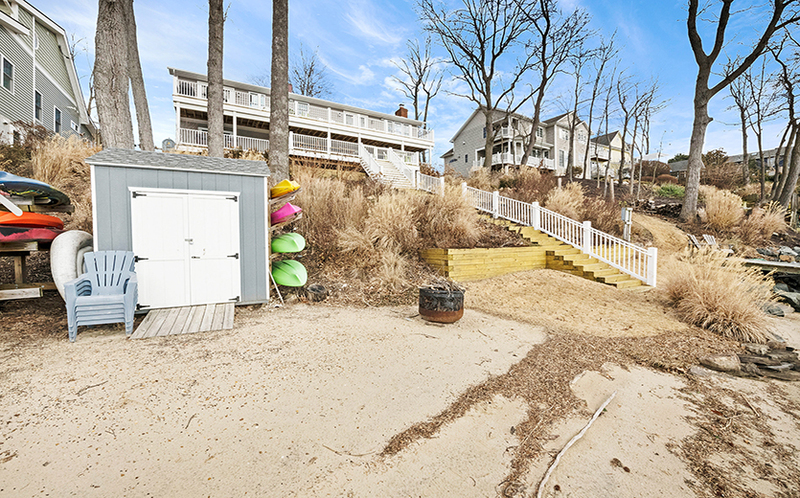 From this level you can walk out to the lower level deck with hot tub and access the waterside yard. 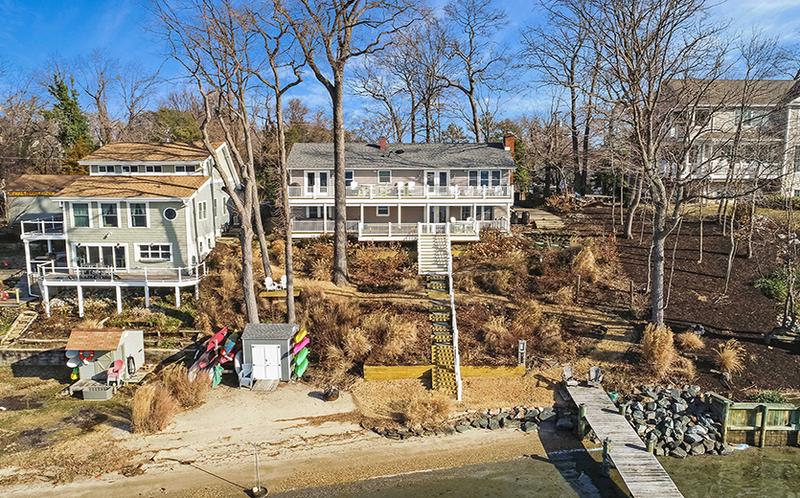 In addition, this property is on both sides of Long Point Road — the large gravel parking area and the shed across the street overlooking Fox Creek are part of 265. 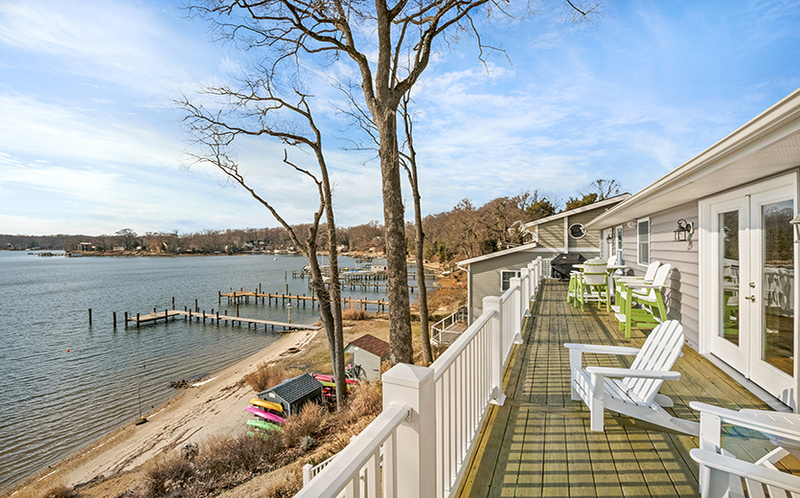 This is the perfect vacation or year-round residence! 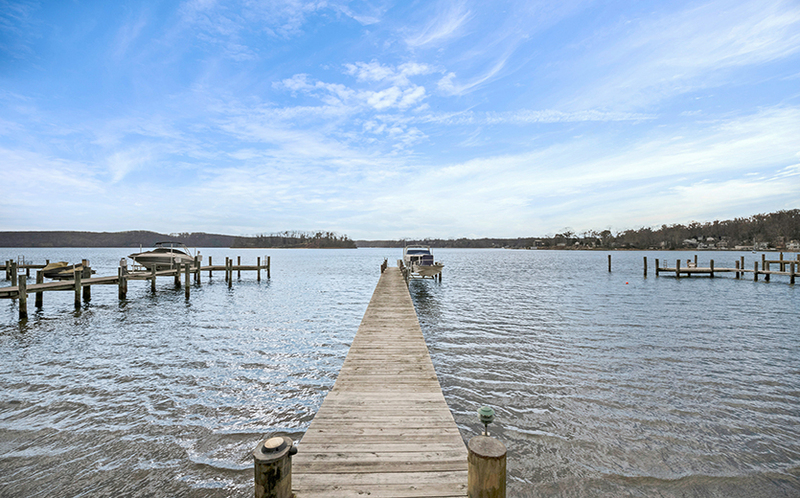 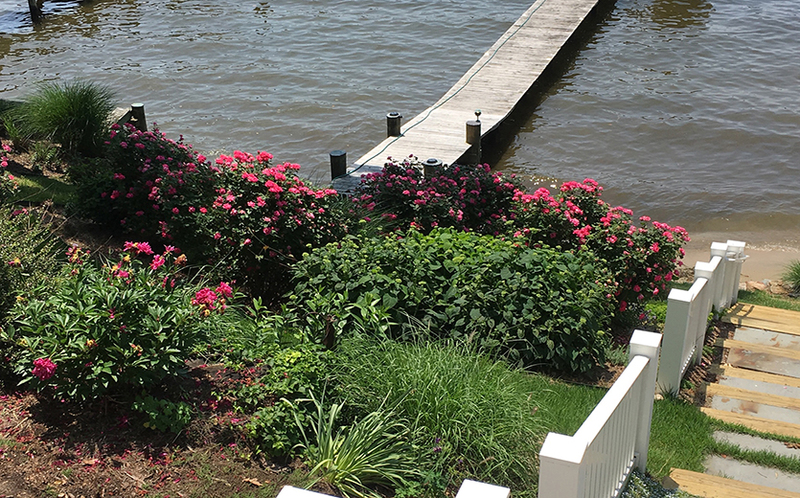 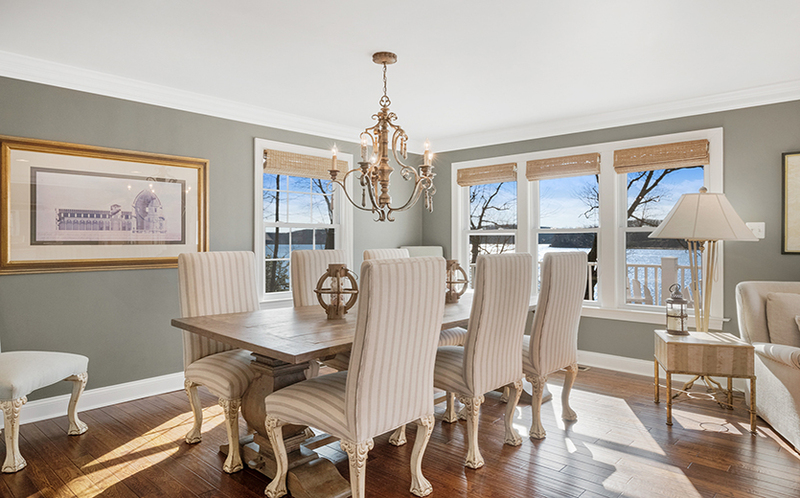 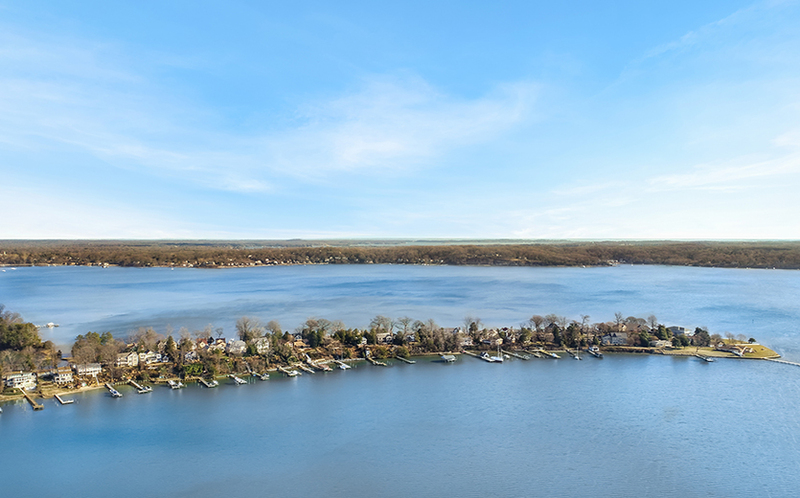 Call the Waterfront Experts to arrange a private showing: 410-266-6880.